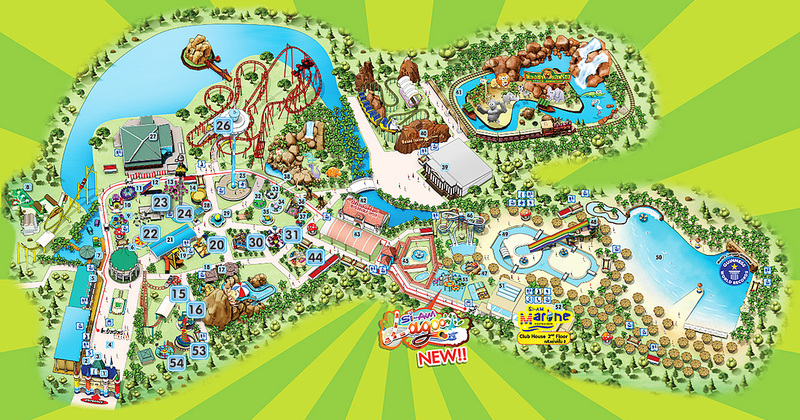 Siam Park, online booking. 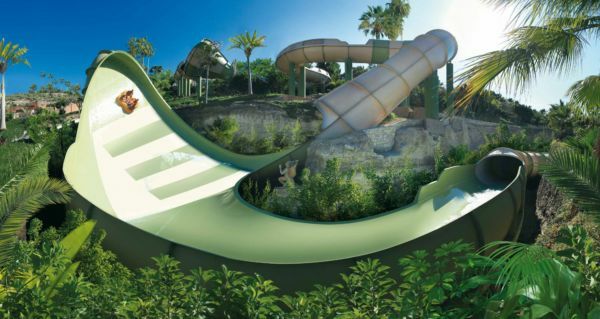 The best water park in the world. Visit the best water park in the world! You don’t need to check availability before purchasing; the park is open every day from 10:00 to 18:00, you can use the ticket any day. A free shuttle bus is offered by the company in the area of Las Americas and Los Cristianos. So first of all we have to mention that Siam Park is the best water park in the world; this is according to the annual travellers’ choice 2018 of TripAdvisor; the architecture and slides feature a Siamese theme; here we find the largest collection of Thai buildings out of Thailand. 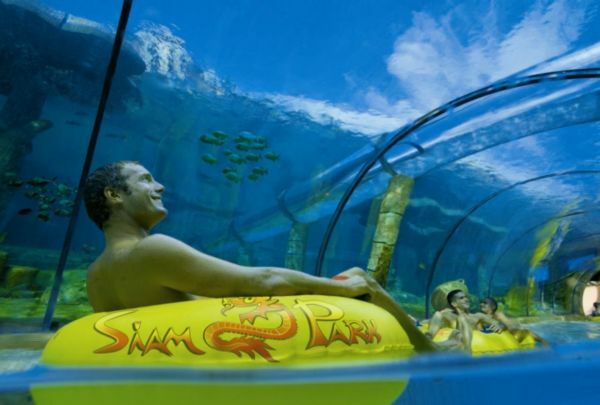 The German entrepreneur Wolfgang Kiessling and his son Christoph opened Siam Park to the public in September 2008; at the opening they invited the Princess of Thailand Maha Chakri Sirindhorn as special guest. 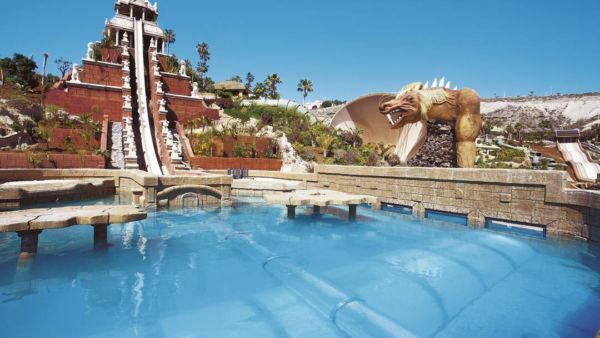 Siam Park has got many attractions and is suitable for everybody, children and adults; for instance the junger ones can play in ” The Lost City “; this is a children area with towers, bridges, nets, cascades and water slides. 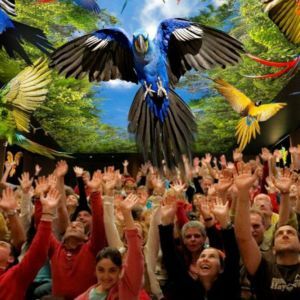 On the other hand people looking for adrenaline can go on the “Tower of Power”; on this slide you can reach 80 Km/h and pass through an aquarium with sharks and rays. Furthermore a desalination plant built on site processes sea water to use in Siam Park; it is heated at 25 °C (77 °F) and reused to water plants after the rides; therefore inside you can find an abundant vegetation that makes it more enjoyable. 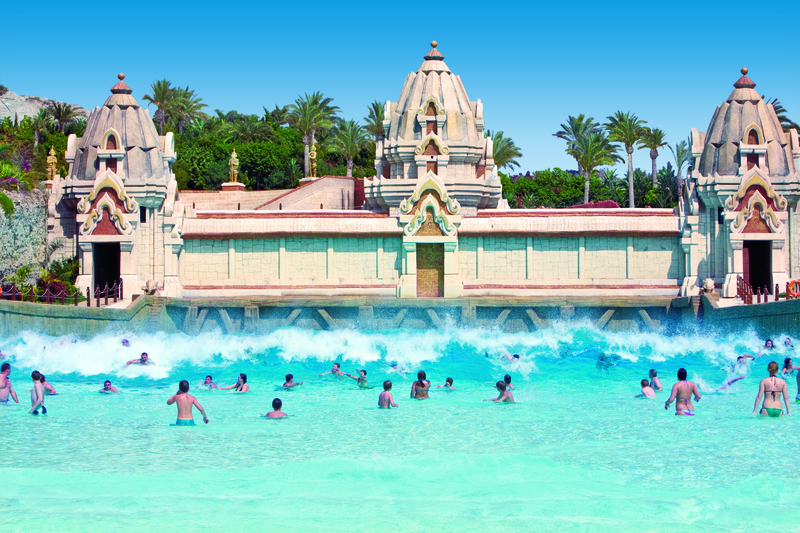 Another famous attraction of Siam Park is certainly ” The Wave Palace”; this pool produces the biggest artificial waves in the world (3 meters); around the swimmimg pool we find a white sand beach with sun loungers that you can use for free. shops where you can buy souvenirs, sun protection, snacks or sweets. As a result this is definitely one of the best things to do during your holiday in Tenerife. 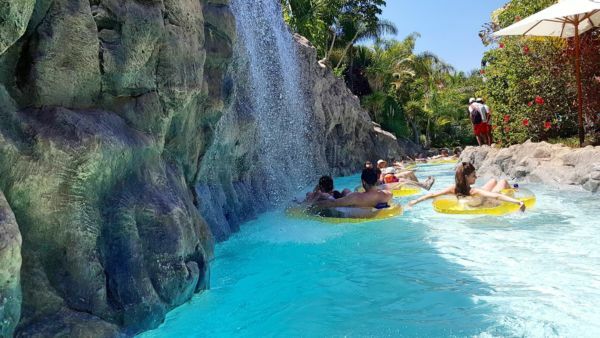 In conclusion we inform you that it is necessary to print the ticket; it is not possible to show it on your mobile phone; Siam park is open every day from 10:00 to 17:00 all year round.